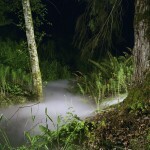 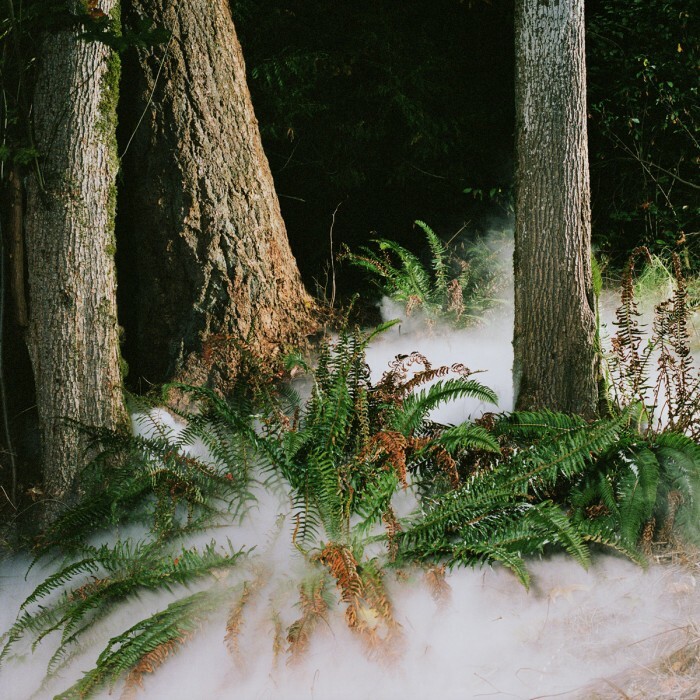 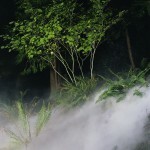 Fog, 2004, is an installation of two medium format projections of dry ice fog photographed at night in the forest. 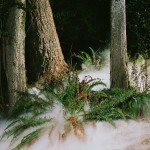 With the aid of dramatic lighting and a fog machine, Schmidt highlights the artificiality of film and the tendency to augment nature to look hyper-real. Like the effects in science fiction and horror film genres, the more artificial, the more dramatic, clichéd and sublime nature becomes. 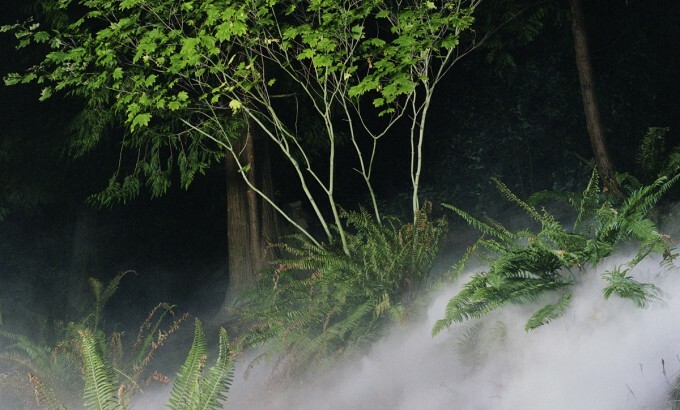 Kevin Schmidt was born in 1972, slightly more than three months after Led Zeppelin released their fourth studio album. 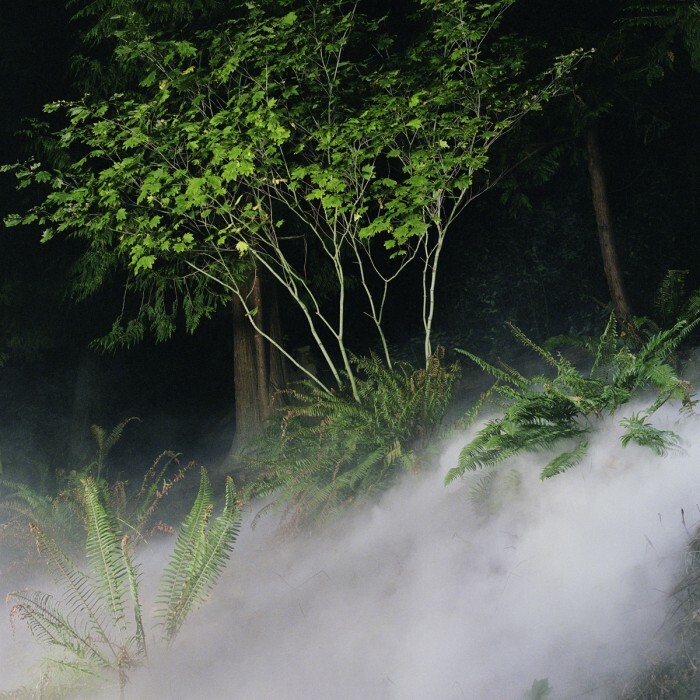 His practice is an investigation of transcendent possibility in a culture where “all that is solid melts into air.” He is represented by Catriona Jefferies Gallery.